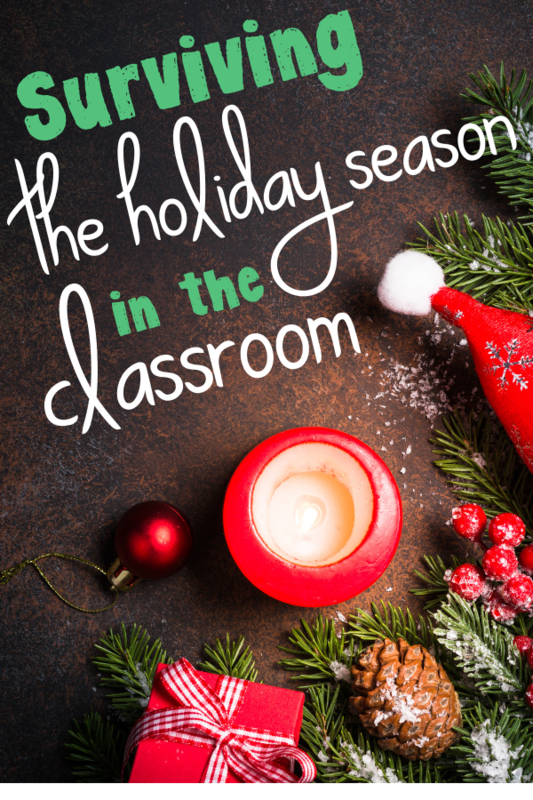 The holiday season is quickly approaching and your students can feel it. Their attention span is shortening and your trusty behavior management tricks are not working like they used to. 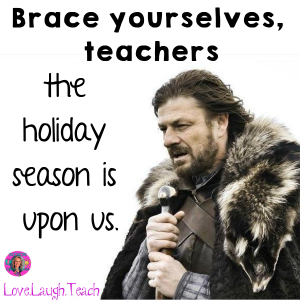 We love our students, but the holiday season in the classroom can be what nightmares are made of. 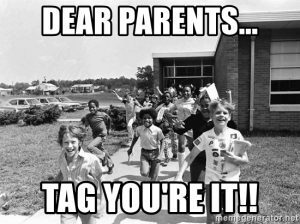 Your stress level is high, your to-do list is growing, and your students are jumping out of their seats with excitement. Fortunately, there are ways to make the holiday season enjoyable again without completing losing your sanity. Behavior management and procedure review. Start by examining your behavior management strategies. Sometimes at this time of year, we need to step back and determine if our favorite classroom management strategy is really effective. I’m not suggesting to throw it out the window, but maybe add something extra. For me, when I see that the holiday season is starting to take hold of my students, I begin my elf on the shelf for the classroom. My trusty elf never lets me down. The students get to name him and they get so excited to see where he will show up next. It can be a little time consuming to move him every night, but it’s totally worth it. Of course, if you’re in the upper grades, this probably isn’t going to work for you. When I taught 4th grade, I started a raffle. Every time I saw students engaged, focused, on task, or following any of our classroom rules, they got a raffle ticket to put into the raffle box. The week before winter break, I drew tickets for small prizes that the students loved. I even raffled off some of our anchor charts that we were finished with and the students loved it! Get creative! You don’t need to spend a bunch of money to hook your students. Sometimes all your students need is a little movement in the classroom to get their wiggles out. Students love them and it really helps them regain their focus. I use GoNoodle and my students love the holiday-themed videos. I use these as extra incentives too. If they can stay on task for X amount of time then they earn a brain break. It’s a great outlet for their excitement during the holidays. 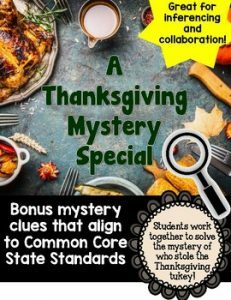 Click here to view this mystery! It’s ok to take a break from the curriculum you use every day. 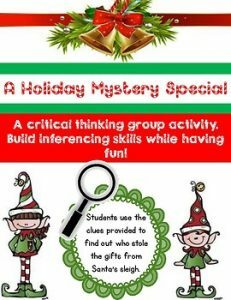 My students in the upper grades LOVE these mystery games. 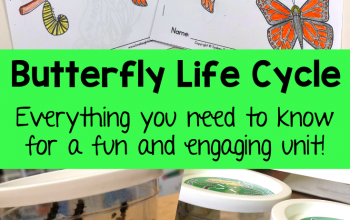 They’re fun, interactive, and your students won’t even know they’re learning. Students work together to solve the “whodunit” mystery. They’re working on critical thinking, problem-solving, collaborative discussion, team building, and much more. It even aligns to Common Core State Standards for speaking and listening for grades 3-8th. And yes, you can use it for that large span of grade levels. They all love it! I’ve even had college professors say they used it with their classes and their college students loved it! It’s a big hit and it’s fun! Don’t or at least try not to hype up the upcoming holiday season. I don’t mean don’t celebrate, but I’ve known some teachers who do a countdown, and this can be downright dangerous. Students know how many days they have left to behave before you can’t do anything about it. They will push you to the edge of sanity, I’ve seen it with my own eyes. I do a personal countdown on my phone, who doesn’t? I want to know how many days, hours, minutes until I’m free! And don’t try to compete with Ms. Suzie’s annual holiday party, it’s not worth it. Start planning for January before you leave for break. You want to enjoy your break, you don’t want to be working. I know it’s hard for us as teachers to think that we can actually take time for ourselves, but we can! Being organized and prepared has saved my sanity since I began teaching. Your post-break self will thank you. This is the time when you need them the most. Have them make copies, run a center, monitor student behavior, or be a guest reader so you can get some things done. I love having volunteers in my classroom, especially during the holiday season. Enjoy your holiday season, enjoy your break and keep these tips and tricks in mind as the holidays are quickly approaching.